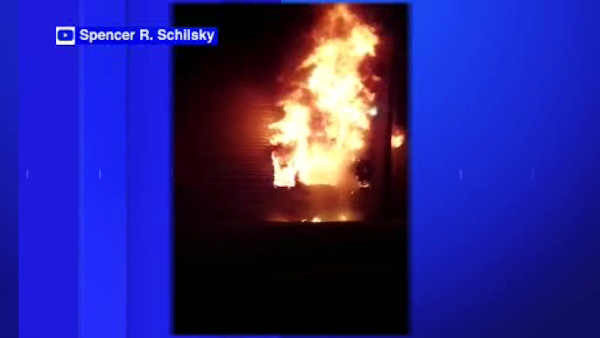 THROGS NECK, Bronx (WABC) -- A fire broke out Monday morning in a dorm room at SUNY Maritime College. The fire began in the second floor of the dorm just before 8 a.m. Witnesses said the fire started in a box fan and spread to the curtains, then spread to a third floor dorm room above. Students escaped safely, but two dorm rooms are uninhabitable. School is back in session but it is unknown if the dorm was occupied. However, the dorm is still temporarily evacuated while firefighters remain on the scene.